Although we don’t need any assistance getting into the Halloween spirit, the foggy weather lately has definitely helped set the tone for this week’s festivities. 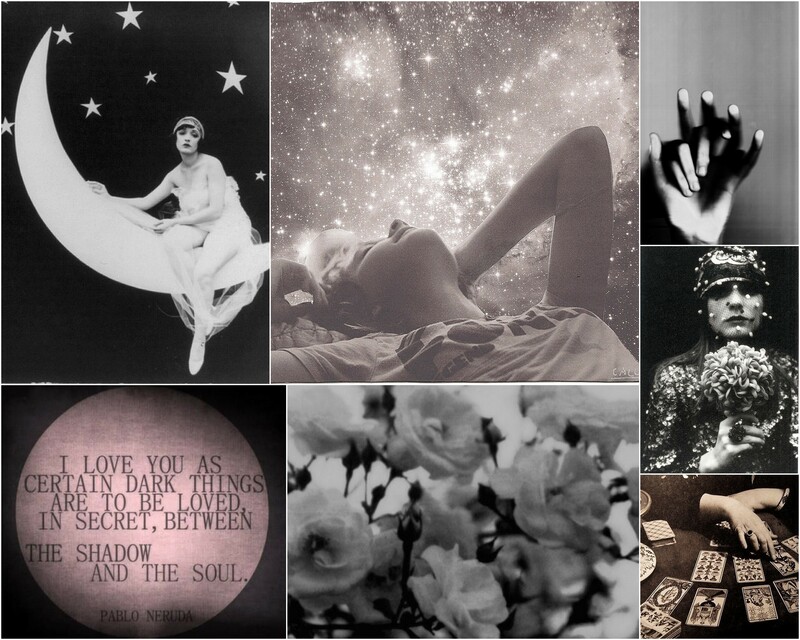 We’re going dark this year, real dark; and in honor of one of our favorite holidays and musicians we dreamed up this mystical, magical, moon-beam, black and white filled wedding inspiration aptly titled Love is Blindness. We’re seeing this wedding with overgrown blooms and fruits dangling off the vines, celestial decor, headpieces with enveloping veils, pounds on pounds of antique lace, and a bevy of bottles adorned with old fashion labels. 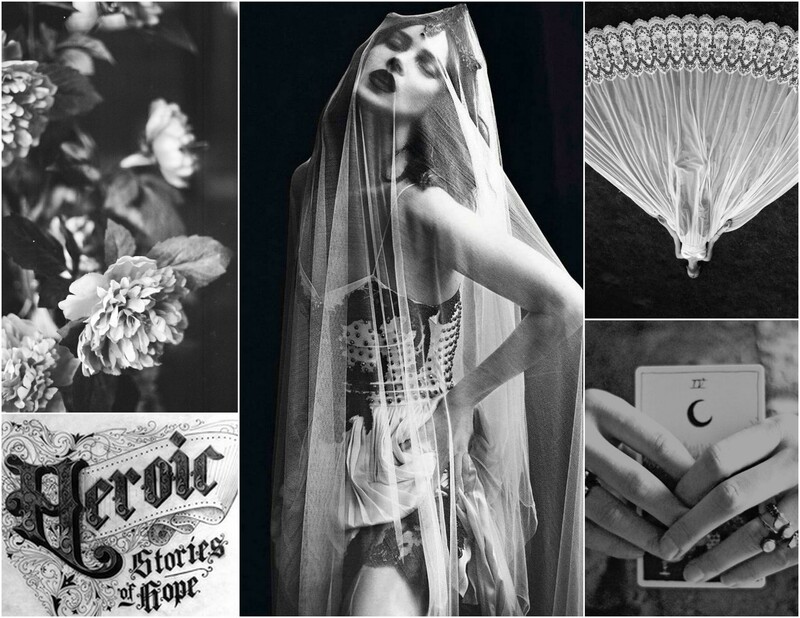 But seriously how cool would it be to have a tarot card reader at your wedding! ?